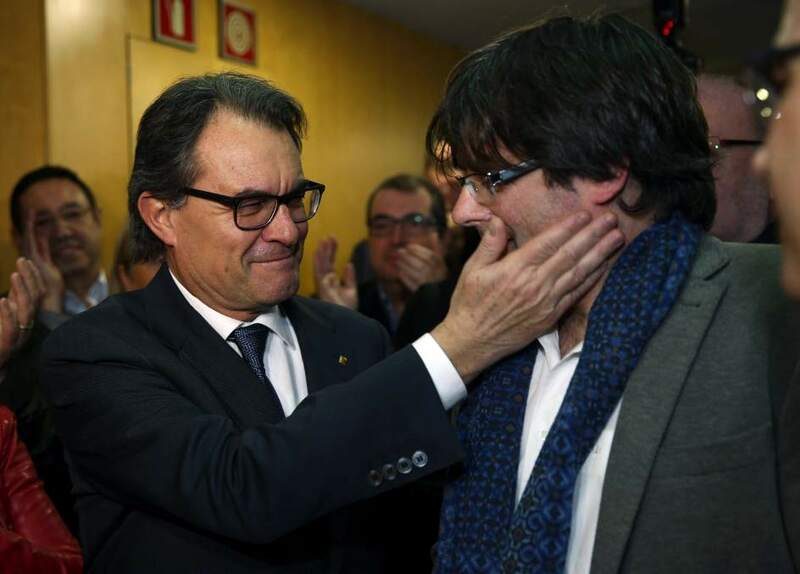 It's D-Day for Catalan President Carles Puigdemont who has just a few hours left until 10 am on Monday (4am ET) to respond to the Spanish government's ultimatum delivered last week by the prime minister, demanding to know whether Puigdemont did, indeed, declare independence last week. If Puigdemont says yes, fails to respond, or provides another meandering answer, Rajoy will start the process under Article 155 to seize control of the breakaway administration in the coming weeks. 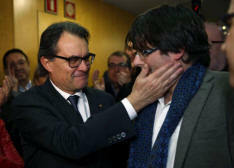 While Catalan television station TV3, which is controlled by the regional government, said Puigdemont will not give Rajoy a clear ‘Yes’ or ‘No’ according to Bloomberg, shortly after Jordi Sanchez, leader of separatist group Catalan National Assembly, denied the report and said that, after speaking to Puigdemont on Sunday, the Catalan reply to Rajoy "will be clear." Speaking to Spanish broadcaster La Sexta, Sanchez said he agrees 100% with Puigdemont’s reply to Spanish Prime Minister Mariano Rajoy, and that the response will be dignified and clear with no surprises, adding that a will for dialogue exists but the Catalan government will not renounce mandate given by the Oct. 1 independence referendum. Meanwhile, El Mundo reported that Spain’s central government in Madrid is weighing two options it may impose on Catalonia if the region’s government unequivocally declares independence, El Mundo reported, without saying where it got the information. Madrid would either name a caretaker administration or a unity government made up of representatives of all parties, the newspaper said per Bloomberg. Regional elections would then be called in three to six months, according to the report. It adds that while Replacing the rebel government would require the state using special powers under Article 155 of the Spanish Constitution. that action is not imminent, and may not be taken if the Catalan government demonstrates it hasn’t broken away from Spain and instead will abide by Spanish law. 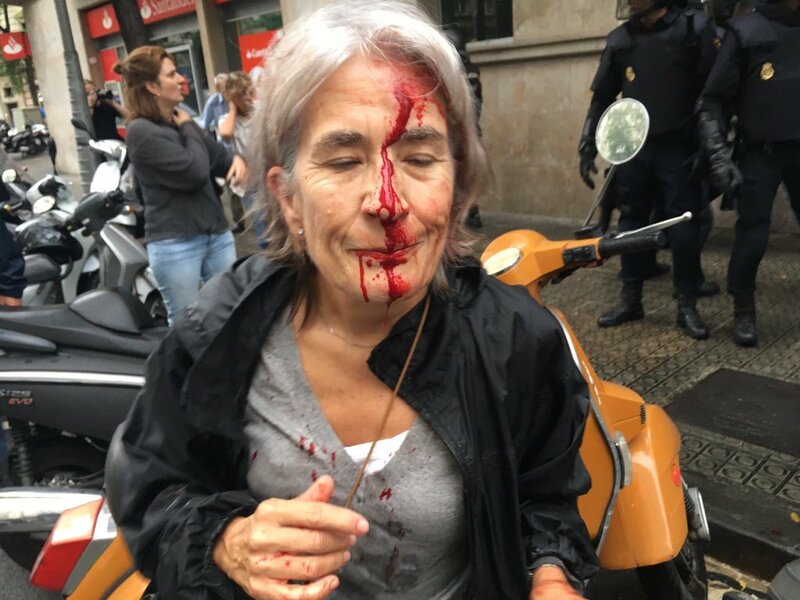 Either way in my opinion the Catalonian people are facing a complete and total crackdown by the Spanish Government and the Crown and with no Central Bank promise by Soros and the Banksters in the works they will have no defense whatsover. They should have promised the Banksters then reneged after independence. Now the only thing that will save the Catalonian people is if the International Community recognizes their right to self-determination and intervenes, which given the United Nations complete subservience to the New World Order and the Bankster Cabal, is unlikely. 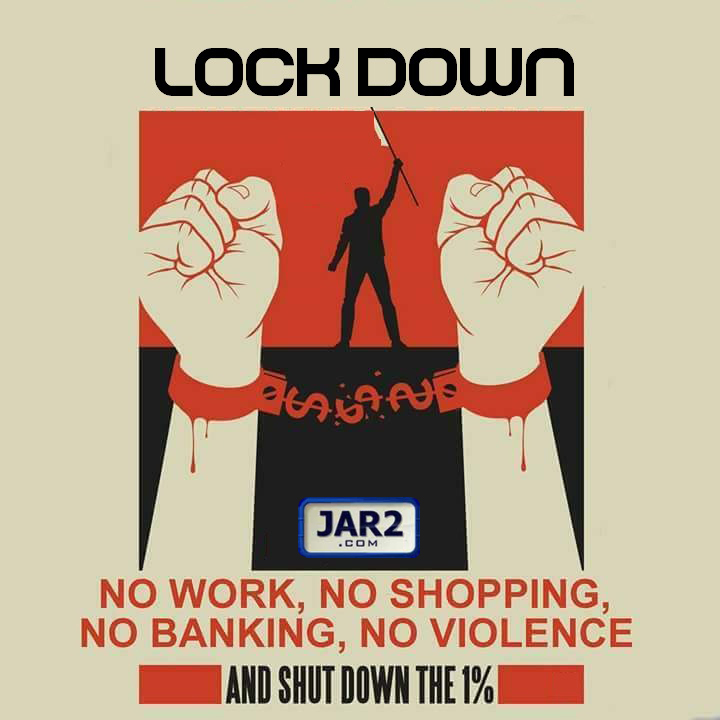 So we will see a complete and total bloody crackdown unless there is a total surrender by those seeking independence. 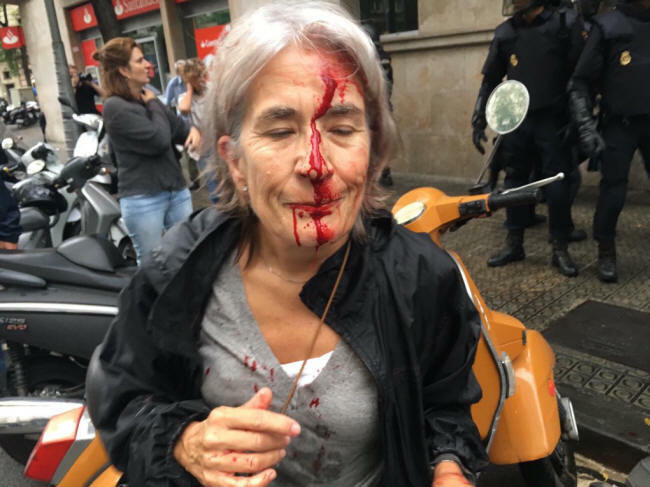 Several of my readers, along with myself, were trying to make sense of what is going on in Spain and Catalonian and they asked me for my opinion and what I know about that as well as Puerto Rico, so I decided to write an article which I have not done in a long time, and in reality I guess I should do more since there are apparently people who have noticed my absence, which is something that actually warms the heart. So here goes nothing as they say. I woke up at 03:33 AM (maybe the numbers mean something) after dreaming about Spanish police beating women and intelligent looking people gathered to vote in a referendum in Catalonia as I tried to make sense of and analyze the occurences while I was resting. It was highly unpleasant and underlines why I do not watch TV. These images in my dream were simply from watching a couple of videos on the net. Again knowing what I do about CGI and MOCKINGBIRD, COINTELPRO and MKULTRA as well as the NSA's MK series, and that they are 30-50 years ahead of what we have now, forces me to seriously limit the video intake I allow myself. That said let me get continue on to the heart of the matter. The referendum is over and after an entire night of studying the fluid and ongoing situation and watching the brutal response from the Spanish government as the attack dogs of the state (I call them that because that is exactly how they were behaving) burst into polling stations brutally confiscating ballot boxes, beat peaceful people going out to vote, even women and the elderly and generally behaved like the genocidal New World Order police we have seen being let loose in the world today, I have formulated the following picture of the events that occurred there and what the future holds for Spain and Catalan. For the sake of being brief and getting this out as quickly as possible I will not go into the long historical background required to fully understand all of the machinations involved here or all of the minute details going on behind the scenes but if you wish, do some further research yourself, or I can do a follow up piece if there is a demand. Understanding the vertical of real power that is driving the world should be something that every journalist is required to know because it is only from that understanding that one can truly make sense of all of the forces driving current events and how events synthesize. To understand Spain one must not forget, as with the UK and many EU countries, that it is a Monarchy, and like all of the other European monarchies they are the real force driving the policies of the governments voted for by the people who have been fooled and actually believe they have democracies. Again I must remind my readers that the only real democracy that has existed in history was that of the American Indians from which even Vladimir Lenin gained inspiration. 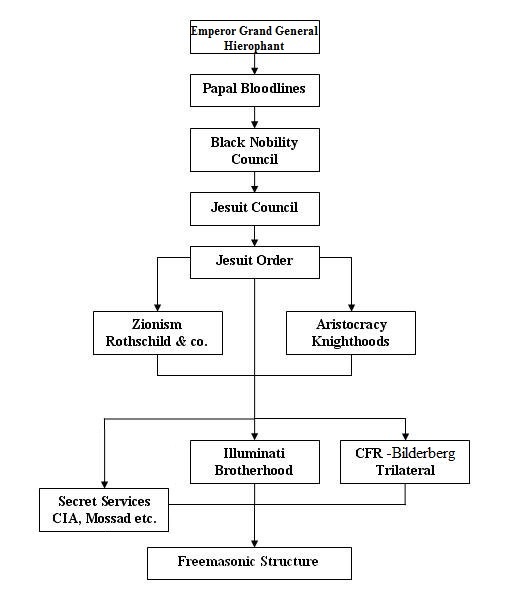 Europe had monarchies and those monarchies have continued since ancient times, now being promoted and protected and propagated by forces that have gone into secrecy such as the Illuminati and currently reaching dangerous levels of expansion in what is termed the New World Order. When we talk about the New World Order we must understand that there is in reality no “new” order being created in the world. There is an expansion of the Old World Order and an updating of the instruments used to ensure the continuation of the inbred parasitic and worthless bloodlines who have been preying on humanity like leeches and blood sucking vampires since the beginning of time. The only thing “new” about the “New World Order” is the completely new and creative ways that the masses will be eliminated and enslaved until the ends of time. Once that truth is understood then everything else falls very neatly, accurately and seamlessly into place. Soros is adapting and getting more clever like the snake he is, so the overt signs of his involvement are less than usual (no clenched fists on banners or variations this time) but I did find at least three bodies he is connected to in the George Soros Files, which you can download from the site, that were pushing for independence including those behind Carles Puigdemont, the leader of the independence movement. 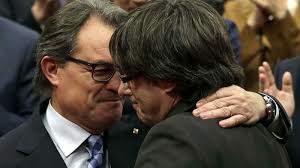 As always it never fails to just follow the money and the chain goes from Carles Puigdemont to power hungry and ambitious Artur Mas (already forbidden from holding public office once) and his sponsoring organization “The Independent Group” run by Carne Ross which is in turn sponsored by none other than George Soros and the Open Society Foundation. So why is Soros interested in breaking up Spain now? Well he has several reasons, first ensuring the expansion of the New World Order, which is just Rome and the Crown of England run by German Illuminati pretending to be British royals (but that is another topic entirely), second it weakens the Spanish Monarchy in the elite’s game of empire, third Spain recently went against Israel and actually prosecuted the Khazari Banksters who are the money men of the New World Order and fourth the leaders (who think they are going to have an independent country) have already made a deal with the devil and agreed to support Israel, the country being created by the Rothschild family. Sound incredible? You can’t make this stuff up! Meanwhile as they say “All roads lead to Rome” and the Black Nobility will keep watching and laughing as the Rothschilds and the European nobles continue breaking up Europe and fighting amongst themselves trying to increase their little shares of the global pie. 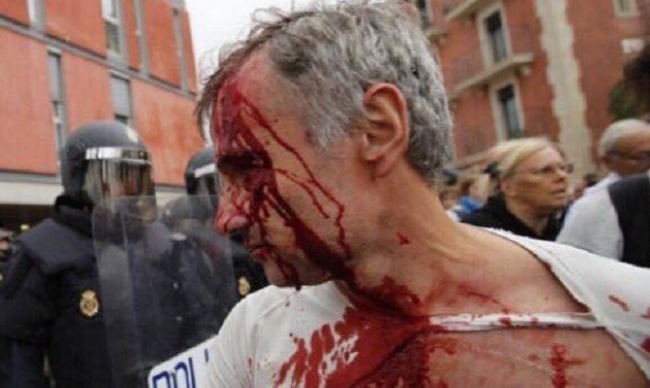 Unfortunately the Catalonian people have been duped I am afraid, just like the Ukrainian people and currently the American people, and are being divided by the truly psychotic elites. Sure the Spanish Monarchy has not been kind to them as monarchies never are to their subjects (I beg anyone to show me a merciful monarch who lasted any period of time) and their desire for independence is valid but just like the Zionists do everywhere and with everything they have hi-jacked even Catalonians’ desire for freedom and a better life in order to gain support for their little Satanic enclave called Israel. 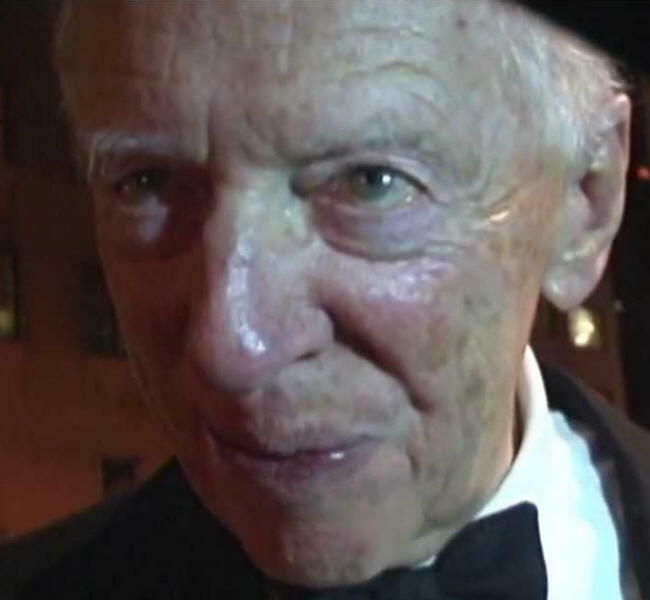 Here again we have the Intelligentsia and the educated segment of society being torn apart and manipulated by the hand of Rothschild and which will now be, one or another, decimated and delegated to the dustbin of history. How? Well either the Crown of Spain will crack down completely, as they should to maintain their territorial integrity, or Catalonia will in fact gain independence but will be ground down into nothing needing to take huge loans from the Rothschild cartel and becoming debt slaves for all time to the Zionists. Of course the Zionists think as usual that they are so clever and no one understands this but their moves are obvious to anyone who sees their machinations, such as this humble journalist. So what should be a happy day for the Catalonian people is simply the beginning of their end unless they wake up and cut all the chains of foreign interference into their affairs, meaning saying no to Israel and the Rothschilds’ sweet financial candy temptations. 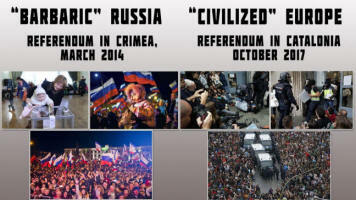 Well the Spanish are not as kind and tolerant towards dissent as we have seen say Russia be or Ukraine be, where Berkut officers were being burned alive and slaughtered like animals by psychotic Nazis overdosed on Captagon and even then did not open fire, so there will probably be a crackdown, which may lead to civil war and even more instability in Europe, which is something the Zionists also want in their mad game of empire. We will just have to watch how it plays out. 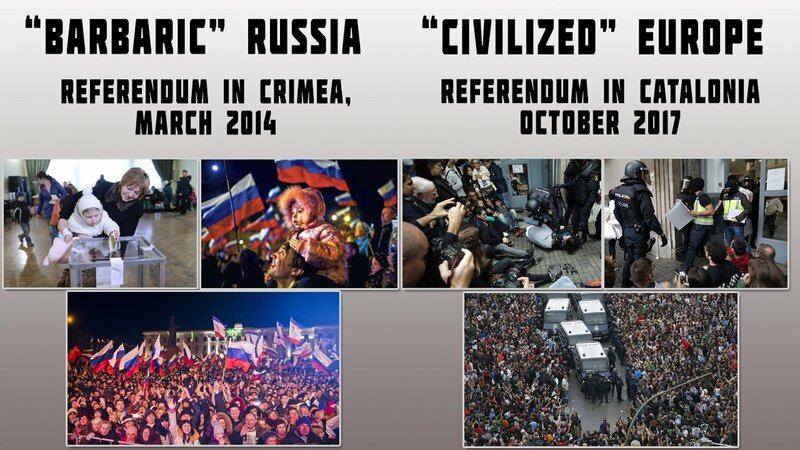 Of course what could have been like the Crimean Referendum where not one shot was fired and not one person was injured nor one drop of blood spilled. 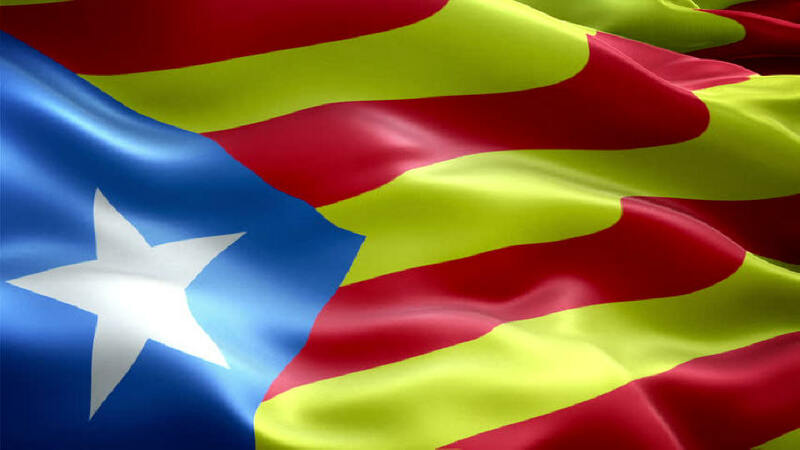 will never happen, which is very unfortunate for the Catalonian people. 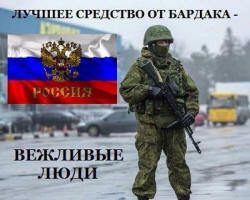 It is sad they did not have Russia's "Polite People" to come around and keep the peace. Finally I just want to add that everything I have just said is much easier to ascertain by simply watching what Israel is doing and the Zionist controlled media such as my favorite Zionist watching tool Reuters (owned by Rothschild) and others. In any case any thinking person who values their own survival and the survival of their state and country must run like hell from anything that Israel or the Zionists support. 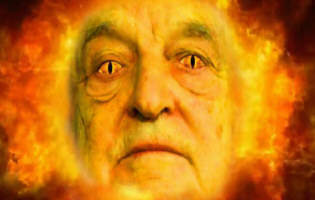 Arrest George Soros and destroy the Zionist cabal and stop the New World Order before it is too late. How seize their assets and liquidate their structures for 911 and everything else they have done. 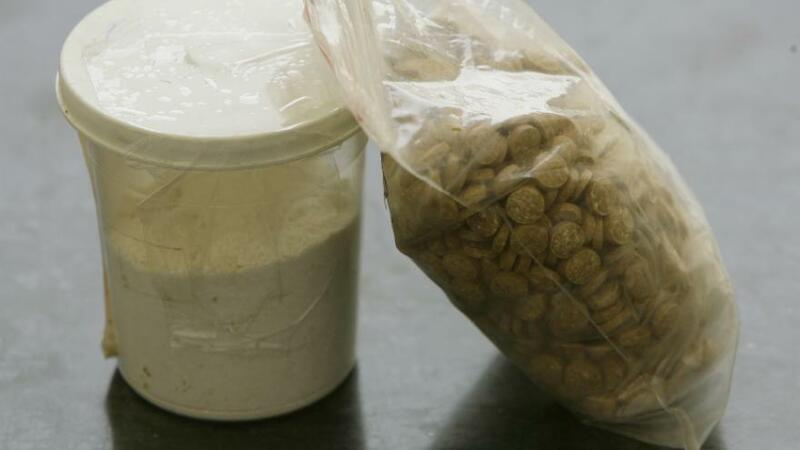 As for Spain from the perspective of State Security, well: federalization of the country with minor concessions towards independence and autonomy which can be drug out for a hundred years and made to fail so people will want to return to Spanish rule. Cynical but true. As for the people of Catalonia it looks like they will have to fight long and hard for their independence as the world should respect their decision on sovereignty but it won’t.